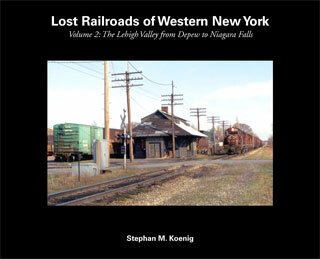 This is the second in a planned series of books about now-vanished railroads of the western New York state region. Following on Volume 1, Volume 2 looks at the history of the Lehigh Valley Railroad and its operations between Depew (an important junction east of Buffalo) and the famed international border community of Niagara Falls. This second volume with 130 b&w illustrations, many of them rare photographs, covers the traffic operations, motive power, facilities and trackage rights that the LV used for its gateway to and from Canada. It also features a series of "before and after" photographs that provide comparisons of LV era scenes with contemporary scenes of the same locations.